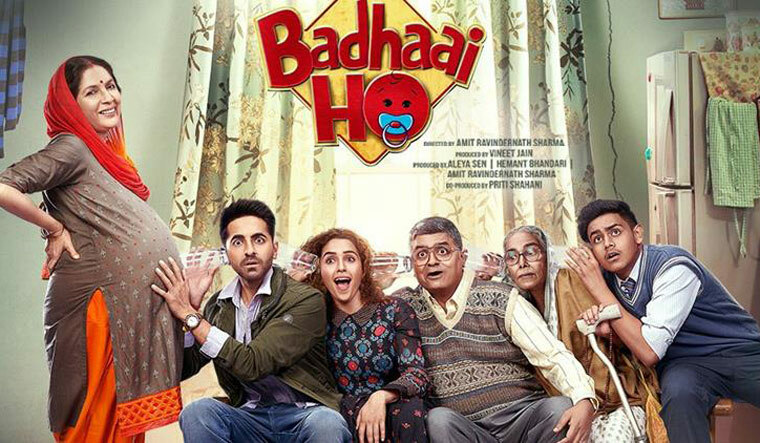 Actor Ayushmann Khurrana says his latest Badhaai Ho will ignite curiosity and laughter in people as it revolves around an old couple becoming parents again. The comedy-drama features Ayushmann as the son of an elderly couple who find out they would be turning parents for the third time. "It is rare to see people of our parents age becoming parents again. This was a very normal thing back in the '70s and the '80s. So people might think that 'Badhaai Ho' is ahead of it's times but I think they'll find it funny and interesting because this doesn't happen today," said Ayushann. "Had this been shown in a '70s film, people would've reacted normally. This is what makes Badhaai Ho so interesting. I am sure people will look forward to this and the response to the trailer has been amazing too," he added. The actor made his film debut with 2012's Vicky Donor where he played a sperm donor. Last year, he featured in Shubh Mangal Savdhaan, which revolved around erectile dysfunction. Ayushmann is amused that such stories end up coming to him but he isn't complaining. "I don't know why such scripts come to me but I just go for the interesting stories. Even Andhadhun, it is so different from anything I've done so far. I would like to continue attracting such stories," he said. Directed by Amit Sharma, Badhaai Ho also features Sanya Malhotra and Neena Gupta. While Ayushmann has previously featured in comedies set in small towns, he says the treatment is different. "Actors keep saying that they want to do something different so they look different to the audience but I believe people watch a film for it's story and concept. If the story is different, you will also look different. "The setting and the milieu of Badhaai Ho is very different than that of Vicky Donor and Shubh Mangal Saavdhan, I am not speaking the same language as I spoke in those two films. My accent is different here," he says.